Today I’m “pressing” a post of one of my favorite bloggers…Elizabeth of Mirth and Motivation. It’s all about children…one of my most favorite topics in the world! But first I’d like to pass along a couple of awards that came my way this past week. Uplifting children and helping them develop a positive self-image is one of my missions in life. I try to provide parents and teachers with resources and activities and encouragement, because the task of raising and educating young children is a difficult one and it is crucial that adults feel good about themselves as well. But bloggers also need encouragement to continue to carve out those precious moments to write…from a day that may be filled with other responsiblities and obligations. And so various blogging awards are “born” and one blogger confers them on another to recognize and celebrate a job well done. 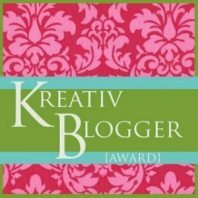 This past week, Clar at clarbojahn gave me two lovely ones: The Kreativ Blogger Award and The Sunshine Award. Clar is a dedicated writer (of children’s picture books and other genres) and human being extraordinaire and I am honored to know her. I hope you will take the time to go and meet her. The rules of these awards: List some things of interest about yourself and then pass the awards along to other deserving bloggers. 1. If I love a book, I can reread it dozens of times. Favorite book: Little Women. When I was 10, I went shopping with my mom and sister for her junior high school graduation dress. We lived in NYC at the time and went to a store (Abraham and Strauss) that has eight floors of merchandise. Instead of dragging me around while she and my sister shopped, my mom brought me to the book department, which encompassed the entire 8th floor of the building. Leaving me there to enjoy browsing through the books (yes, I know, this is something we would NEVER do these days…but times were different over a half a century ago) she and my sister went shopping for the dress. I picked a stack of Louisa May Alcott books and sat down on the floor and happily spent the next several hours, reading about the adventures of the March family. 2. If I love a movie, I never get tired of watching it. Favorite movie: Gone With the Wind. How many times have I seen it? Probably 10. 3. My favorite color is yellow…as a child, I shared a room with my older sister. I was 19 when she got married…the day after the wedding, I painted MY room a bright sunshiny yellow! And now, here is Elizabeth’s post that touched a chord in my heart and soul. I share this with all of my readers in hopes it will speak to you as well. Thank you, Elizabeth, for holding children so dear! Reflections: Speak To Us Of Children…. This entry was posted in Blogging, children, Kreativ Blogger Award, parenting, self-esteem, Sunshine Award, Uncategorized and tagged children, Louisa May Alcott, Versatile Blogger Award by viviankirkfield. Bookmark the permalink. BFF and I rarely watch movies more than once . . . unless we watch them umpteen times ~ A Christmas Carol, The Grinch, Sense & Sensability, Pride & Prejudice, Nanny McPhee, Animal House, Sound of Music, Caddyshack, Home for the Holidays, Mary Poppins, etc.. 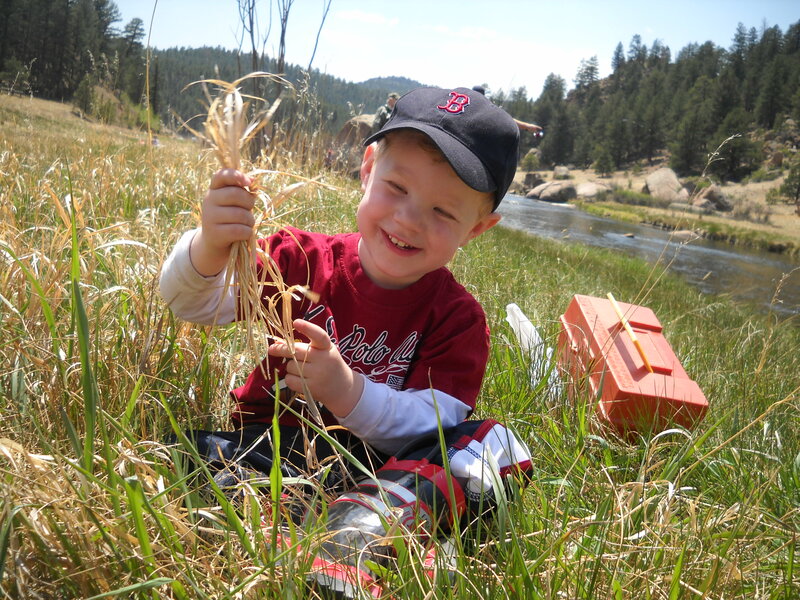 I love that photo of your grandson with the rocky river in the background. I will read books over and over again too! Thank you again. One reason, I don’t want to rush into posting my awards until I actually have the time to put into it, is because I want my acknowledgements to actually reflect the gratitude I feel in having been nominated to begin with. Blogging is refreshing in so many ways, but sometimes time is not as generous as I’d like it to be. I started a folder to tuck the email announcements in so I don’t overlook anyone or any rewards. Once I do post them … watch out! 🙂 In the meantime, I am glad we crossed paths. Congrats on these awards, Vivian. I hope you don’t take this the wrong way but you mistakenly said Versatile award when you meant Kreatif award. Thanks for linking to that post, it was very interesting. VIvian….Thank you so much again. I am humbled and honored to be chosen for these awards. Like I said earlier, I will get to them when time allows…. ;) Thanks for understanding. And congrats on receiving these awards too! 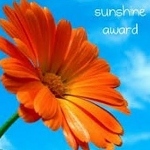 You have an awesome blog and deserve these awards! You’ve been a shining light in the blogging world for me, Elizabeth…the quality of your photos, quotes, posts…and the research and time and effort you put into them are amazing and inspiring! Thanks so much for the awards, Vivian. I am honored to have been chosen by you. Congrats too on receiving these awards yourself. I enjoyed reading your list of things about yourself — what it must have been like to live in NYC as a child. Also, the eight floor of Abraham and Strauss sounds heavenly — what I wouldn’t give to have a stress-free afternoon filled with unlimited books to read. I went and read Elizabeth’s entry and I was really touched by the tenderness of every word! Yes, times have changed…for the better in some ways and for the worse in others. Thank you for putting a link to my children’s book review and for introducing me to your site. I look forward to exploring it. Oh, Vivian, I am so delayed in arriving!! Thank you so much for the beautiful award. I feel so very uplifted to be recognized by you. Anyway, going on and on. But I do so appreciate all you do and write and share! Thank you from the bottom of my heart for the award! This is an amazing comment…what a beautiful way to spend an hour with your child!!!! If I may, I would love to add this to one of my blog posts when i talk about spending quality time with children…and what a super way to encourage a child to love reading!